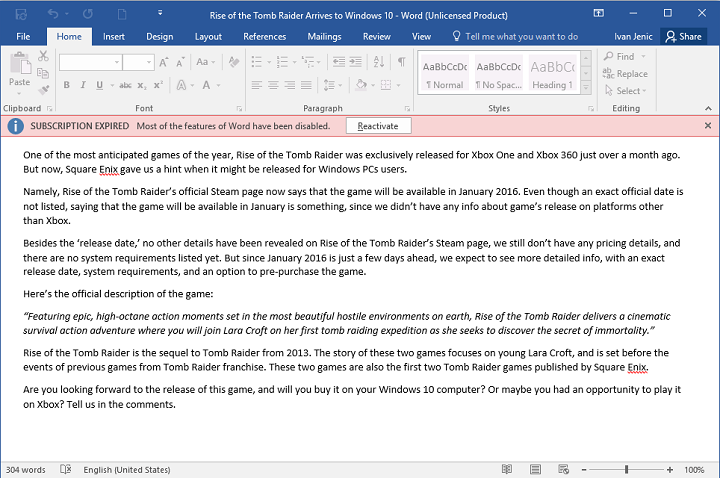 Office 2016 is released by Microsoft and just after releasing lots of people start using it. But this latest Office version comes with some issues, there are lots of users were complaining about a variety of issues upon the release of this. But some of the issues can be easily fixed with the help of below given solutions. After the completion of the above described method, you be supposed to be able to edit your non-editable Word 2016 document normally. An expired version of MS Office 2016 trial may also protect you from editing your Word 2016 document. Microsoft presented Office 2016 in a month-long trial, it is only for the attracting users who don’t have an Office 365. So once it will eventually expire after some time it will leave your Office 2016 apps useless. So, if you are using the free trial version then must confirm that you bought Office 365 subscription. Trick: If you don’t want to pay for the Office 365 then you can always download the ‘lite’ version of the software from Microsoft Store. Step 1: Open the run dialogue box by pressing Windows +R, and type regedit then hit the Enter key to open the Registry Editor. Step 3: After it, you have to click on the Data key, and erase it. Reboot your computer. Now, you have reset your Word 2016. In this method, we will try to fix this issue by disabling add-ins in the Office apps, because a damaged add-in can trigger this type of issue. First, you have to open the Word 2016 and then navigate to the File > Options. After it, click on the Add-Ins, and then turn off all add-ins. At last, reboot the program, and try to run it without any add-ins. Now, you have to install add-ins one by one and check for the issue after adding each of them. Through this, you can easily find out the faulty add-ins. 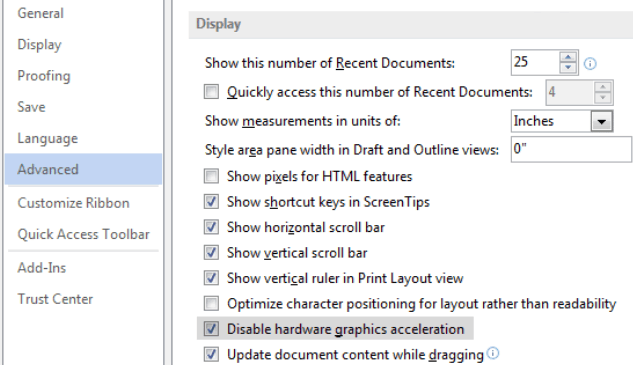 Microsoft Word 2016 uses Hardware Acceleration to boost its performance. So, we will try to disable the Hardware Acceleration in Word 2016. Step 1: Open any Office 2016 app and then navigate to the File > Options > Advanced. Step 2: Find out the Hardware Acceleration and turn it off. Step 3: Again start Word 2016 to check the issue. Now, right click on the Common key and select New > Key from the menu. Type the Graphics same as the name of the new key. 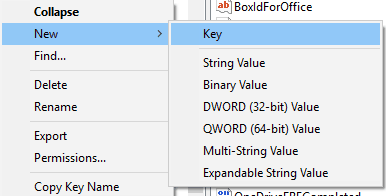 Right-click on the Graphics key and choose New > DWORD (32-bit) Value. Enter the name of the new value DisableHardwareAcceleration. Now, double-click on the DisableHardwareAcceleration value and you have to set its Value data to 1. At last click on the OK to save changes and exit from the Registry Editor and verify the issue again. So, it is hoped that after applying the above-given solution now you are able to edit your Microsoft Word 2016 documents without any problem. 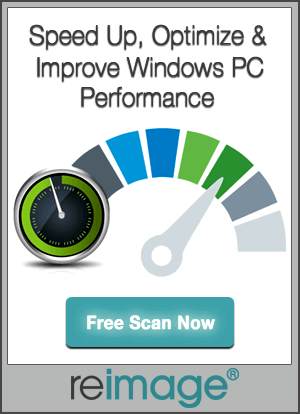 It is also suggested to scan your PC/Laptop with the help of a professional PC ERROR REPAIR tool. This is the tool that will help your PC to get rid of hidden errors. It will also make your PC error-free and fast. 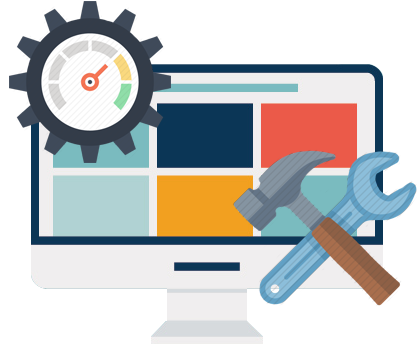 Simply download, install and run this tool on your faulty system, and it will automatically turn your old system into a new one. Are you unable to Edit Word 2016 Document then you should apply the given top 5 Solutions one by one and check for the Word 2016 Document issue.